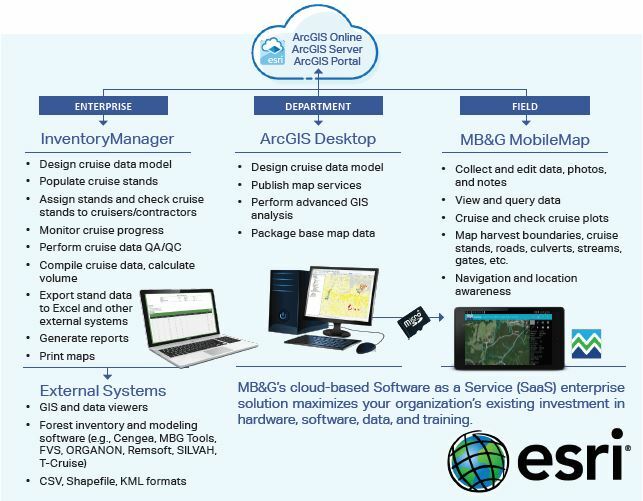 North America’s leading forest management consultant is partnering with Esri to deliver innovative forest management technology solutions. 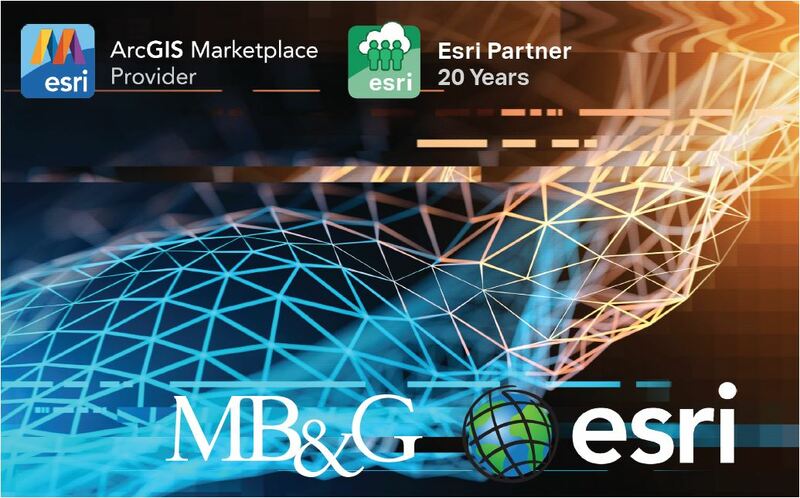 Mason, Bruce & Girard, Inc. (MB&G) is partnering with Esri, the World’s leading geospatial software provider, to deliver modern technologies that will provide permanent benefits for organizations that manage forestlands. Our initial offering, InventoryManager, is a secure cloud-based system that enables organizations to manage geospatial data and business information, share and collaborate, perform analysis, monitor field staff, and automate workflows. 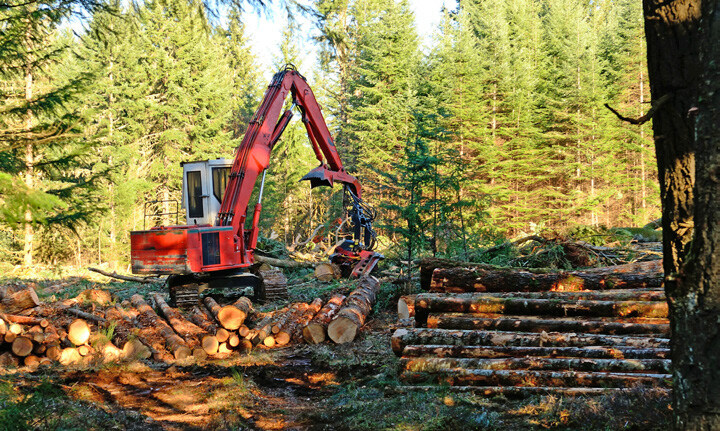 As new technologies continue to emerge and many forest management software systems reach obsolescence, forest companies realize they need to make information accessible to team members in less time using fewer resources. Improves field data collection productivity and performance – Coupled with MB&G MobileMap, our system eliminates redundant and duplicate data entry. No longer do your field teams need to organize and take dozens of maps into the field; no need to transcribe notes into spreadsheets; and no need to review or upload spreadsheets into your database. With existing GIS data preloaded into collection forms, your field crew reduces collection time at each point and the data is consistent and accurate. Automated extract, transfer, and load processes replace time-consuming manual methods and eliminate human and keyboard error. Provides immediate access to authoritative information – Make faster and better-informed decisions in the field by providing forest managers with immediate access to the authoritative information needed to make decisions or take action—anywhere, anytime, and on any device. Facilitates collaboration – Communicate faster, improve teamwork, and advance inter-office information sharing by having access to critical business data. InventoryManager provides a platform for all team leaders to access important resources in a highly visual geographic context which facilitates discussion, evaluation, and consensus building. 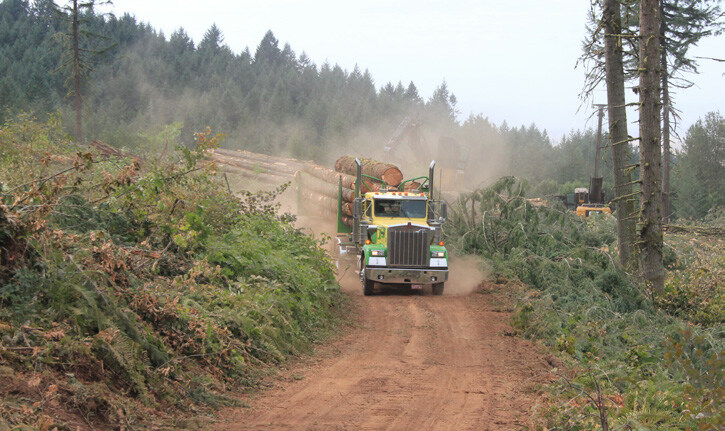 Lowers operational costs – Lowers operational costs by significantly reducing forestry staff man-hours needed to manually record field observations and transfer information to enterprise databases. In the office, less hours are needed to prepare data, maps, and reports. Scales with your business – Growth and scale changes are easily accommodated by adapting new users, regulatory demands, and business commitments while preserving the integrity of existing systems, without new IT infrastructure costs. 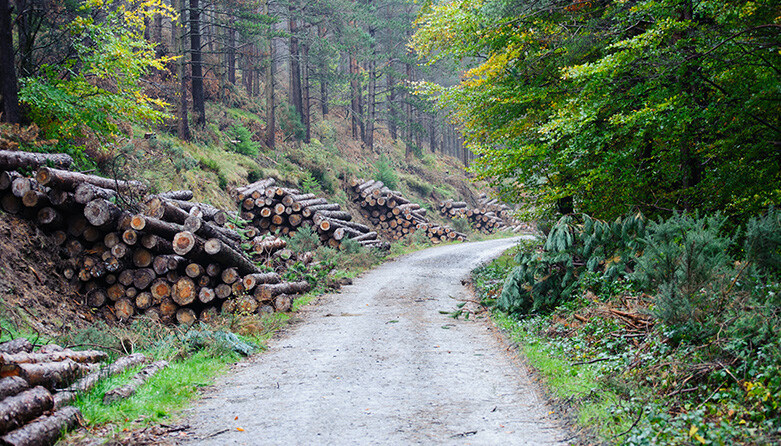 MB&G InventoryManager Improves efficiency in timber inventory projects with real-time updates for cruisers, foresters, analysts, project managers, and your GIS team. MB&G InventoryManager is an easy-to-use web application that organizes, manages, and displays your cruise data for increased efficiency, productivity, and collaboration. Entire teams can monitor data collection progress, assign cruises, check cruises, and perform quality checks on data. Our secure, cloud-based framework is highly scalable, adaptable, and supports a wide range of data collection, storage, organization, and sharing workflows. Backed by Enterprise technologies, including Esri ArcGIS, Acquia, and Drupal, the platform is feature-rich and extensible. With the ability to import data from any field inventory collection system, aggregating data is a snap. The incomparable value of InventoryManager comes from its analytical and reporting capabilities. Custom reports and maps are easily generated through robust query and summary functions. The advantages of MB&G InventoryManager spread far beyond your IT and GIS departments. It provides decision-makers with centralized, authoritative content to evaluate assets, project status, and historical activities to support strategic decisions.